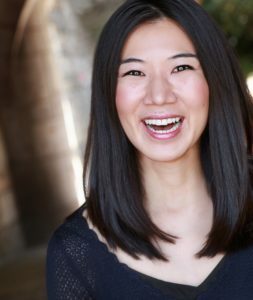 JIEHAE PARK’s plays include peerless (Yale Rep, Cherry Lane MP), Hannah and the Dread Gazebo (OSF), Here We Are Here (Sundance residency, Berkeley Rep’s Ground Floor, Princess Grace @ Baryshnikov Arts Center), and contributions to Wondrous Strange (Humana/ATL). Development: Soho Rep, the Public, p73, Playwrights Horizons, NYTW, Atlantic, Old Globe, DG Fellowship, Ojai, BAPF, CTG Writers Workshop, Ma-Yi. Awards: Leah Ryan, Princess Grace, Weissberger, ANPF. Commissions: Playwrights Horizons, McCarter, Yale Rep, Geffen, OSF, Williamstown, MTC/Sloan. Residencies: MacDowell, Yaddo, Hedgebrook, McCarter/Sallie B. Goodman. NYTW Usual Suspect, LCT Writer in Residence, former Hodder Fellow, New Dramatist class of 2024.